SEEDArts, Southeast Seattle's largest non-profit arts organization, has announced plans to revive the Columbia City Cinema. 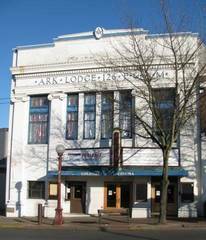 The cinema, which featured first-run films on three screens, was popular with all of the neighborhoods in Southeast Seattle. The area suffered a great blow with the closure of the Cinema in May 2011, and since then residents and businesses have repeatedly expressed a desire to bring back the movie house. In response, SEEDArts has been working with a 10 member Community Advisory Board to investigate the feasibility of raising funds to refurbish and reopen the cinema. The former cinema closed because the building required the installation of a fire sprinkler system to comply with current regulations, an expense that the previous cinema owner couldn't finance. In order to maintain the building's status as a movie house, SEEDArts has proposed to rent the building for one year. During this time, SEEDArts and the Advisory Board will embark upon a feasibility study and a capital campaign to raise approximately $1.1 million to renovate the building, fix the code violations and establish operations as a Cinema. To sign the one-year lease, they must raise $60,000 by mid-February. Upon signing the lease, the group will begin the capital campaign to obtain renovation funds from public agencies, private foundations & corporations and individuals. 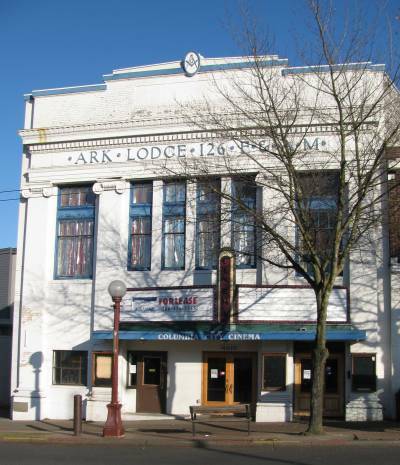 The mission of the Columbia City Cinema will be to provide an entertainment experience in Southeast Seattle, to offer a community-based alternative to the commercial film venues, and to celebrate and promote the artistic elements of film. The cinema will offer popular first/second run movies, art house (foreign and independent) films and specialized programming geared towards its diverse community. A lot of excitement and donations have been generated in the community and beyond for this popular project, though still in its early stages. SEEDArts and the Cinema Advisory Board are working together to raise the initial $60,000 needed to secure the building from other offers and keep this space as a Cinema. Donations can be made at http://seedseattle.org/donate.html.